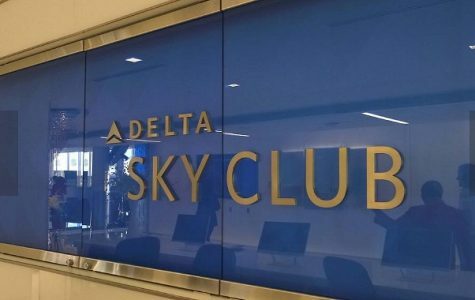 Delta recently opened its second-largest Sky Club at the world’s busiest airport. The 25,000-square-foot Sky Club sits on Concourse B at Hartsfield-Jackson Atlanta International Airport, offering views of the runway and the Atlanta skyline. Delta expects the new Sky Club to be its busiest, with room for 500 people. Among its features are a wine wall curated by Master Sommelier Andrea Robinson and menu items from Atlanta’s Goldberg’s Bagel Company & Deli, as well as lauded Atlanta Chef Linton Hopkins. The new Sky Club comes as the Atlanta airport embarks on a $6 billion expansion that will remake the exterior and atrium of the Domestic Terminal, and add a sixth runway, new concourse and 400-room hotel, among other improvements. Delta’s largest Sky Club in the world is at John F. Kennedy International Airport in New York. To read more at the Atlanta Business Chronicle, click here.